Jungle Hammock OD | BUDK.com - Knives & Swords At The Lowest Prices! 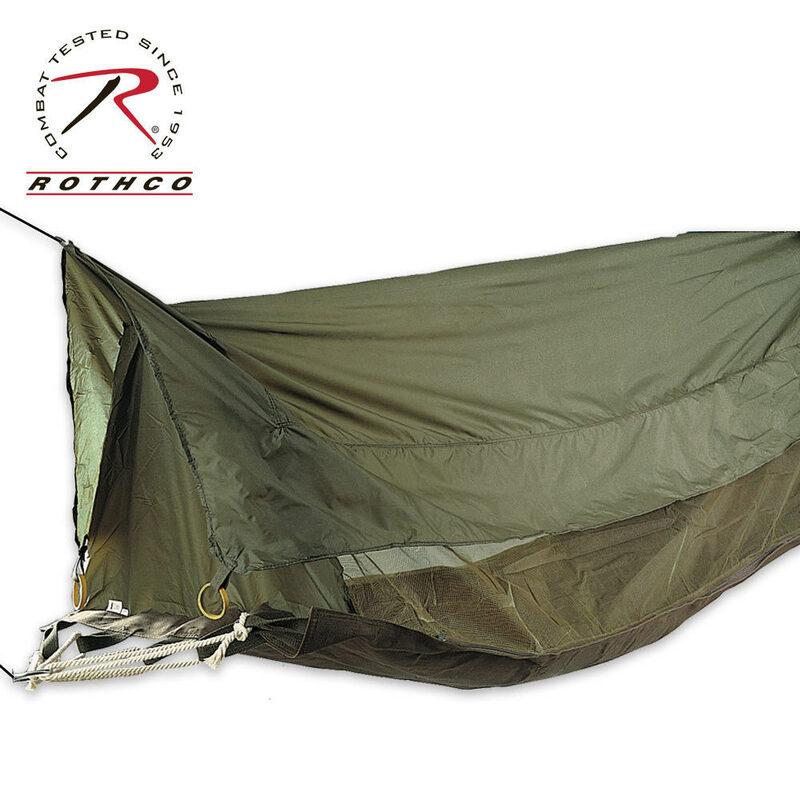 Relax like a soldier in this olive drab GI-style jungle hammock. It features mesh netting and taffeta nylon construction with attached ropes and clews. The elevated shelter measures 78" x 30" x 20." 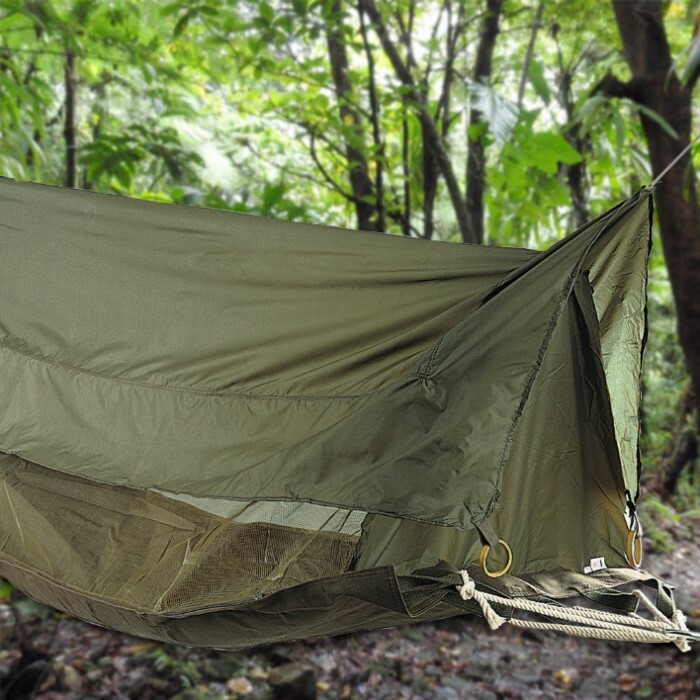 It also features a coated roof and heavy cotton canvas floor to keep you dry and safe from the harsh outdoors elements.